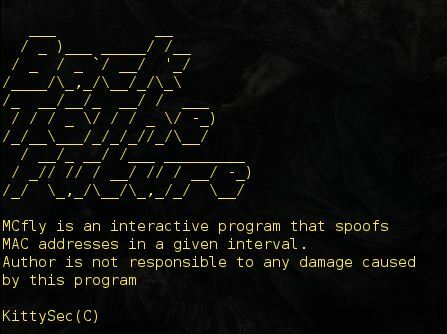 Browse: Home / MCfly is an interactive program that spoofs MAC addresses in a given interval. 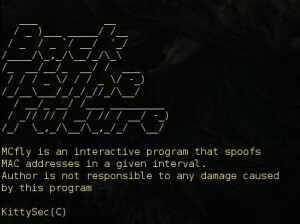 MCfly is an interactive tool for Linux that spoofs MAC addresses in a given interval. 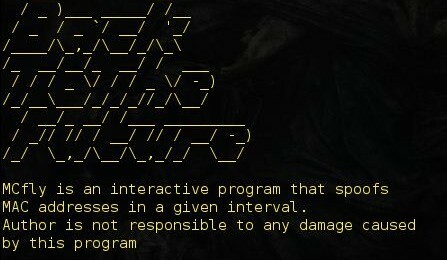 ← Empire v1.3 released : PowerShell post-exploitation agent.